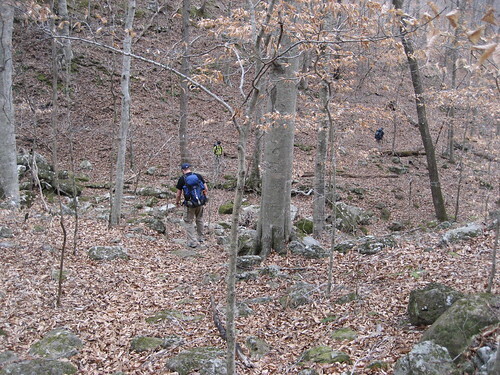 Take a walk through most any Ozarks forest and you will find a persimmon tree. Once you find them what do you do? Make persimmon wine of course. Persimmon trees grow from 25 to 50 feet high and are distinctly male or female in gender. Their fruit is typically globular and small, from 1 to 2 1/2 inches in diameter. Domestic persimmons can reach 4 inches or more. They have 4 woody calyx lobes at the base, are quite astringent until ripening around October, and then are very sweet and juicy. They ripen to an orange to orange-purple (the domestics turn almost red) and persist on the trees until absolutely ripe, which may not occur until early winter or after the first freeze. After ripening, the fruit will drop or can be shaken from the tree. 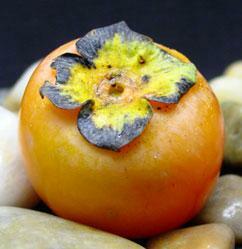 Persimmons make a fine, slightly fruity wine, but it will be ruined if any unripened fruit are utilized. The large, red domesticated Oriental persimmons make the best wine with a delicate, amber color, but the wild natives also make a good-tasting, although somewhat brown colored wine. Persimmon trees are available through Stark Bro’s in Louisiana, MO. if you want to get serious. Mention this article and Stark Bros. will give you a 10% discount for a limited time of course! I read more than my share of blogs, I keep close contact with good friends and thought I would share a few of my daily reads with you. This is one I read, follow and subscribe to. It’s done by close friends Neil and Jessica Kohler. They are former Springfieldians now living in Columbia where they go to school and work. 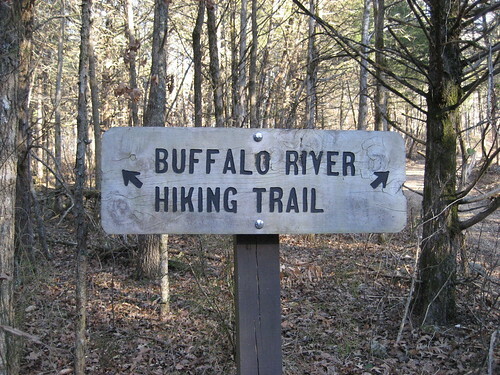 Hiking The Buffalo River Trail by Kohler Created! A couple weeks ago a friend of mine messaged me on Facebook and asked if I wanted to go backpacking that upcoming weekend. Considering it was the middle of January, I was a bit wary at the thought of waking up to subzero temperatures. 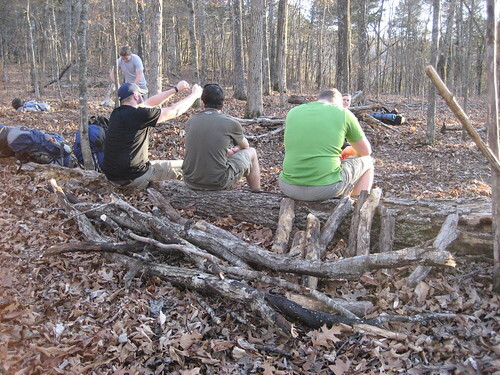 This group of friends have been known to backpack in sub 32 degree temperatures, and even sleep without a tent when it is in the single digits! Not only was my gear not really up to the task of extreme temperatures, but my courage wasn’t either. As luck would have it, that particular weekend a warm front came through, warmer than any we’d had all winter, and the day time temperatures were in the upper 50s! Jessica had to stay home with a mountain grad school homework, but she told me to go anyway. 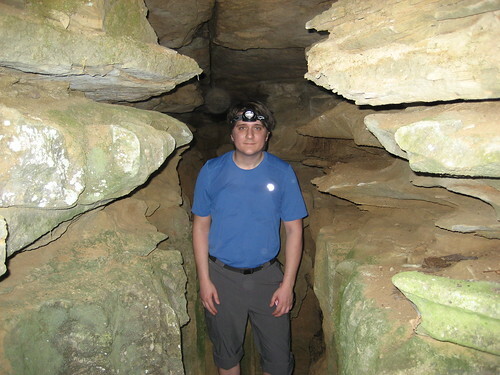 I’m glad I did, the hike was just the escape I needed from the long winter. 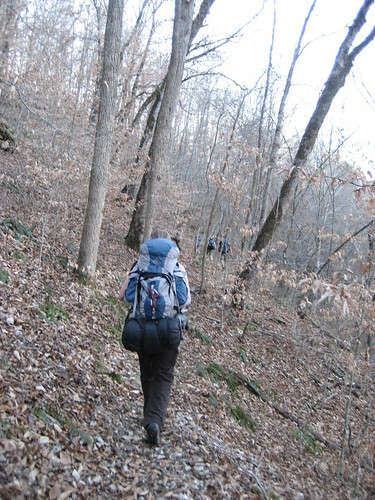 We hit the trail early Saturday morning. For those of you not familiar with the BRT, here is a quick overview of the trail. 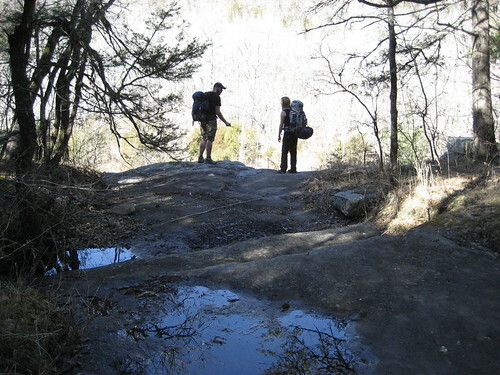 There is a lot of wildlife and amazing views on the hikes in Arkansas and I don’t think it gets as much credit where its due. 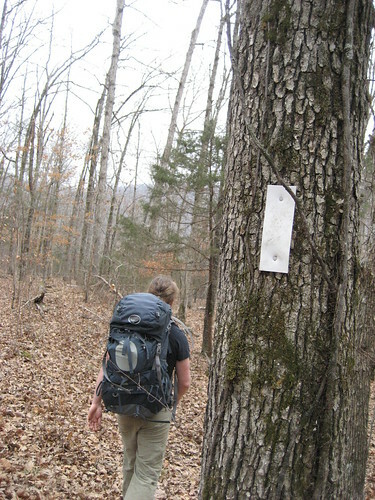 A full 36 miles if you do it all, but this weekend we would be taking on a mere 15-17miles of the trail. During the hike we tracked our progress with the multiple GPS devices among the crew. Here is a map of our hike to reference. 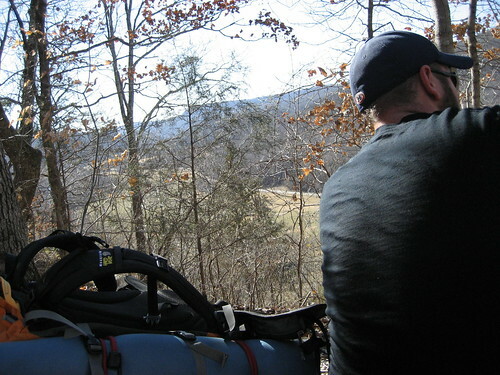 Even though hiking in January meant little foliage and tree cover, it allowed us to see amazingly clear views of the river and the hills around. 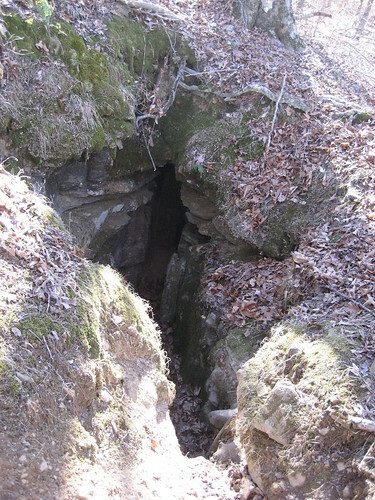 There were even a few surprises like this little sinkhole/cave we decided to check out. As the miles rolled behind us, 9.1 the first day to be exact; it started getting a bit later in the day and we needed to look for a good place to camp, one hopefully with a water source nearby. 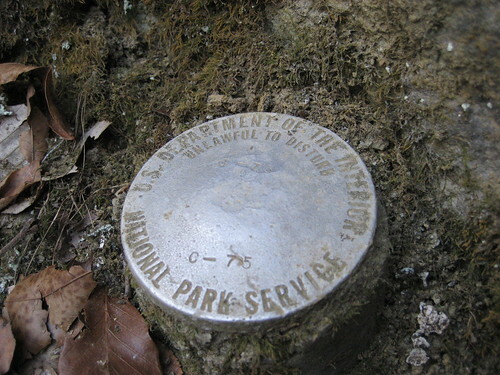 We came atop one of the hills/mountains and found a flat peak, however the only water source was over 300 feet of elevation drop below us. My brother Ben and our friend Nathan took on the task of trekking down the steep gorge and getting 2.5 gallons of water (heavy!) and then climbing back up. 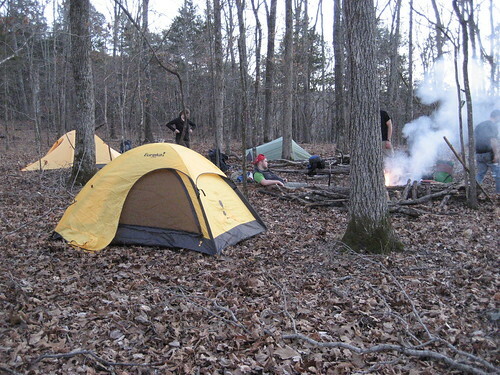 Kudos to them, I highly doubt I would of had the fortitude to do that after the full day of hiking. I had canned soup and a hot dog for dinner. There were many different meals going on that evening. Some pastas, some rice dishes. If you have never heard of a JetBoil it is an extremely versatile cooking system that is lightweight and very efficient. Jessica and I used them on both our Colorado and Montana trips to cook many great dishes. Nathan brought this awesome wind-up radio. I have to get one of these. 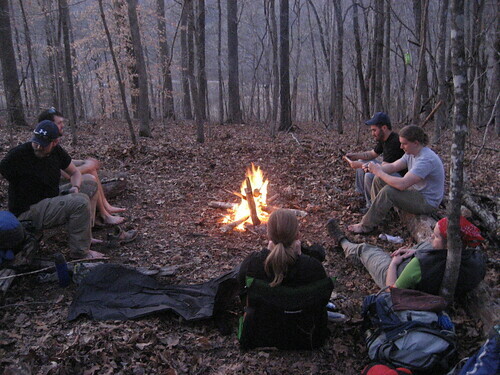 It is great to get some tunes with the conversation around the camp fire sometimes. No batteries required. Wind it up for 60-120 seconds and get nearly an hour of radio. How cool is that? The morning came a lot earlier than I would have liked. However I did sleep well thanks to our awesome sleeping pads. 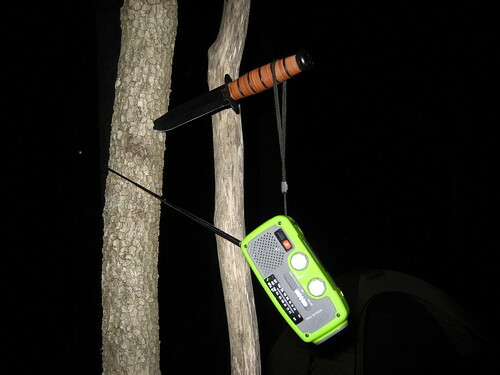 Ever since we purchased them I have not felt the ground ever again on our camping trips. To see all of our favorite gear, check out this post! 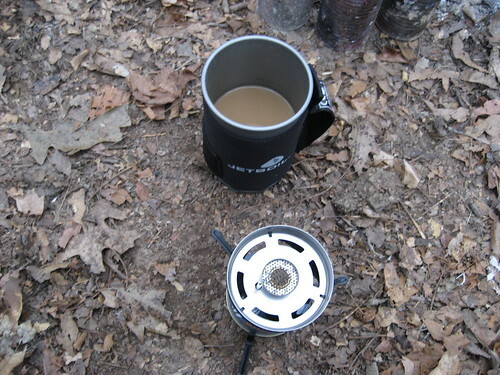 Coffee in 60 seconds with the JetBoil and Starbucks VIA is a life saver on early camping mornings. 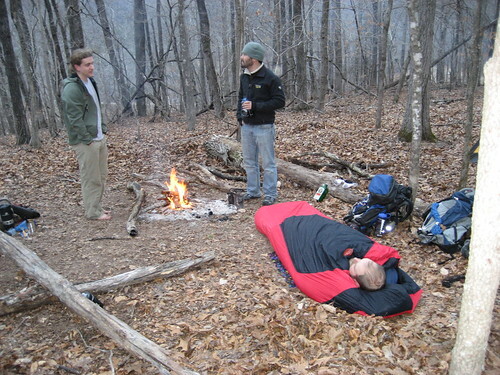 I told you that they sleep without a tent. 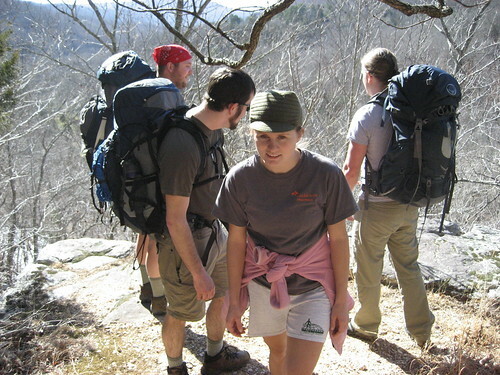 Crazy, but when you imagine the weight savings to your pack, it’s definitely tempting to try. We packed up and headed back out, immediately coming across a great view. 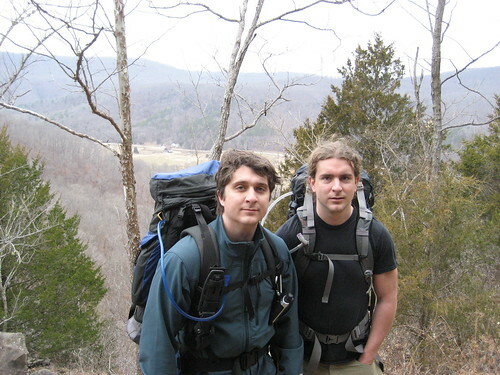 Here’s a shot of my brother Ben and I. Can you tell we’re related? Another 7.3 miles to the end of our trek. Overall, I really liked the part of the trail we did. There were a lot of elevation changes that challenged me, but there was also a good amount of flat area where you did not have to stare at your feet and could enjoy looking around a little more. I was certainly tired by the end of the second day, but it felt good to get exercise that challenged every one of my muscles. 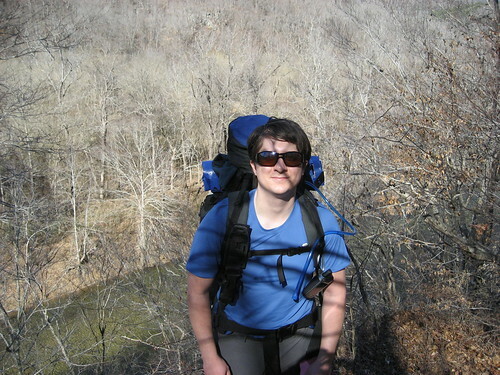 It’s a great workout when you are hiking with 30-40lbs or more on your back. Beats the gym any day! 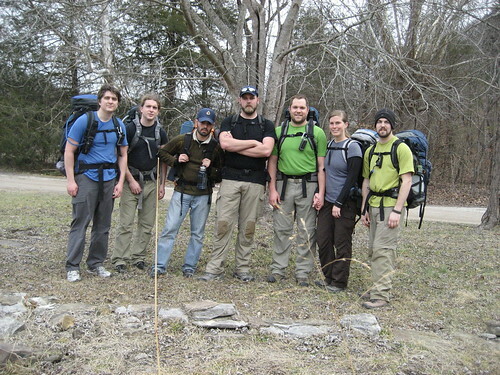 End shot of our group. 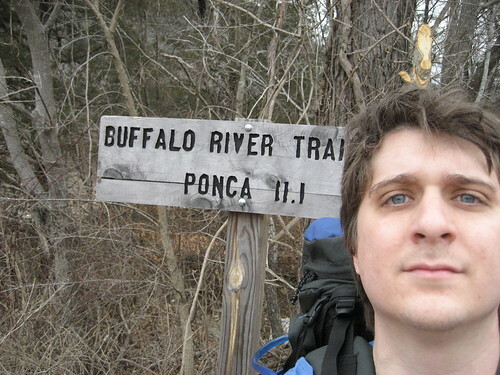 This weekend I may be heading down to do another weekend of backpacking. Stay tuned!